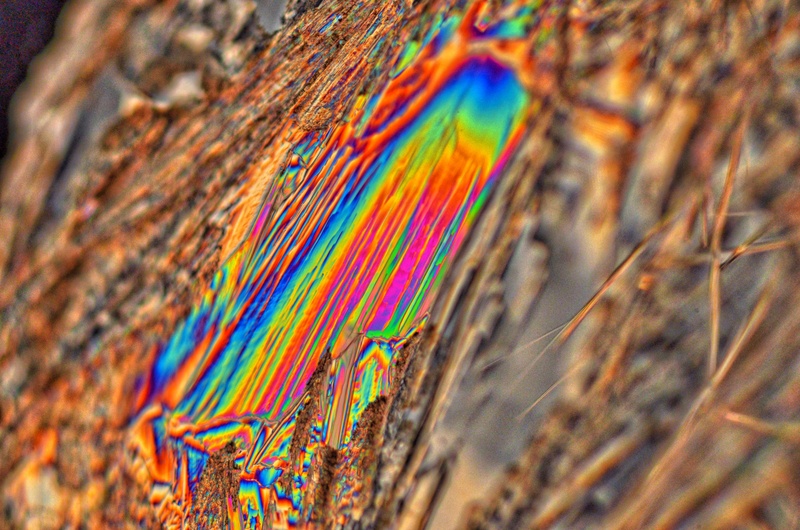 Amino acids join together to make proteins and thus are the basic building blocks of life. 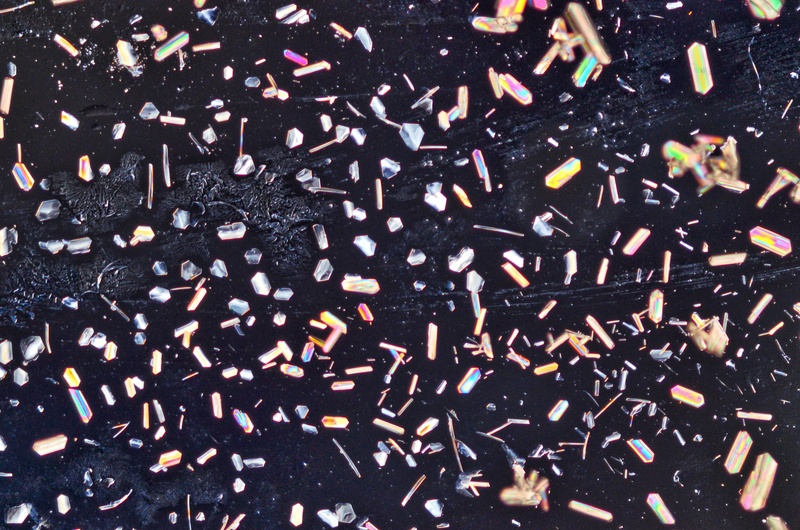 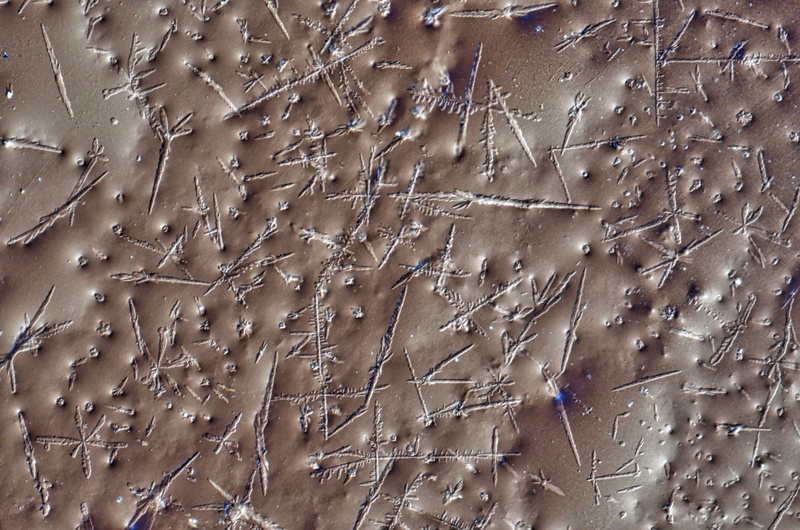 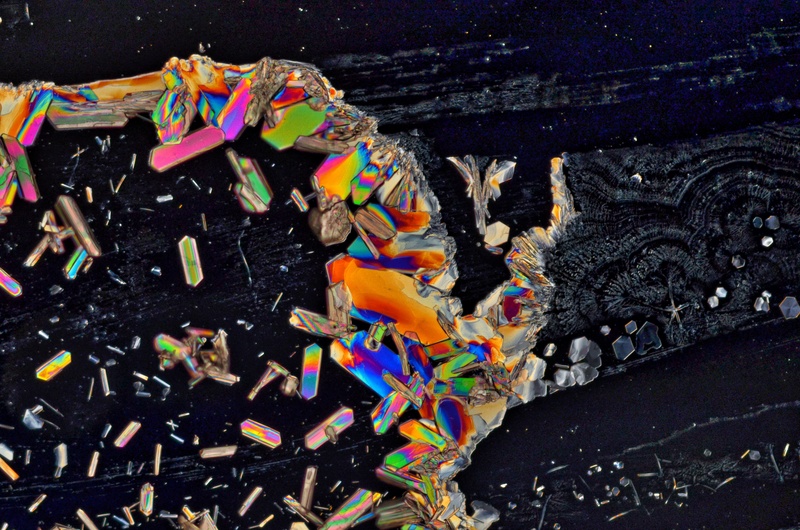 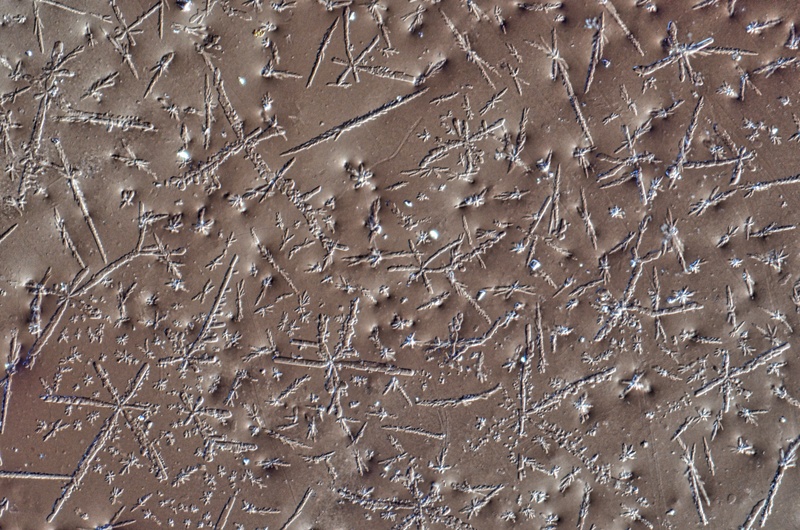 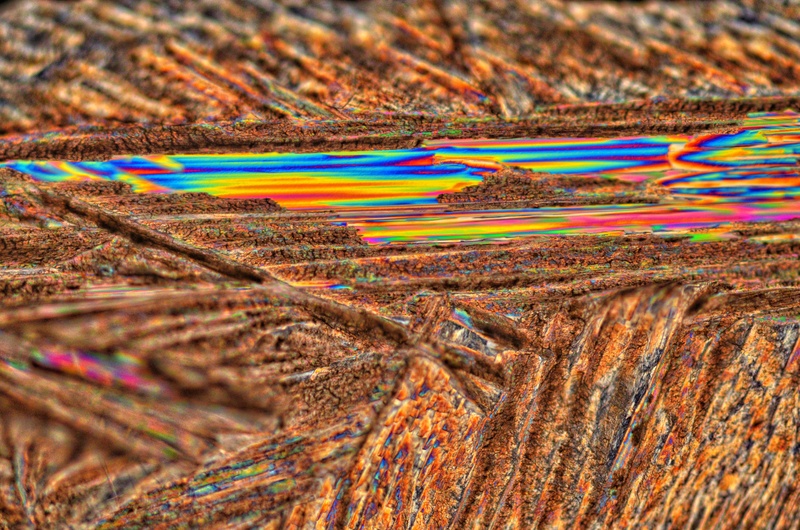 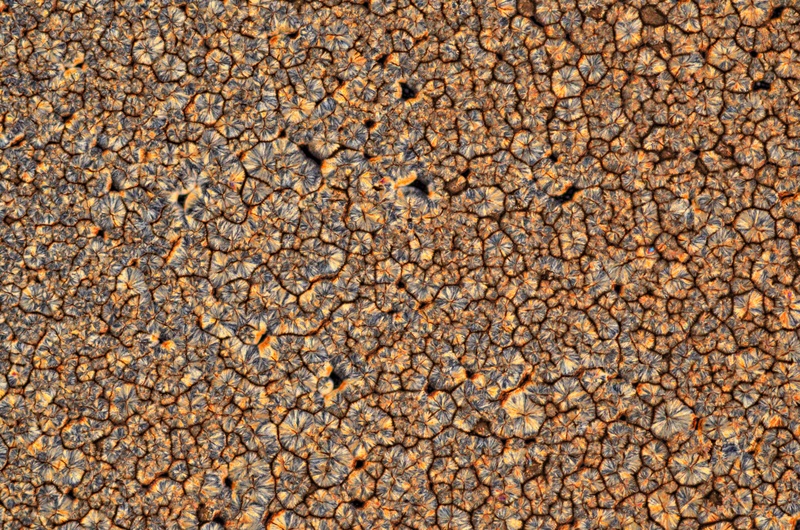 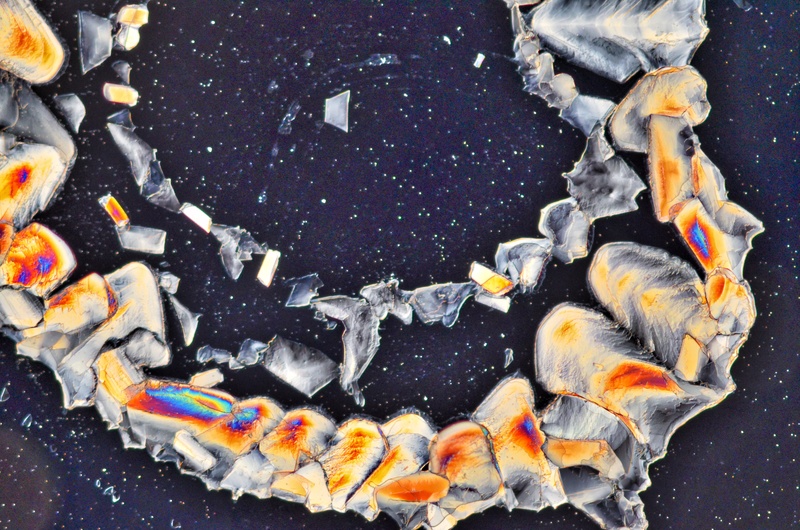 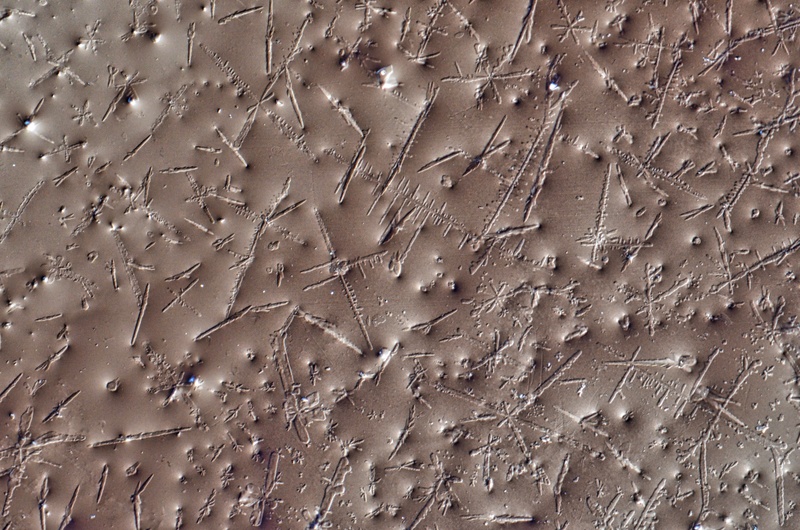 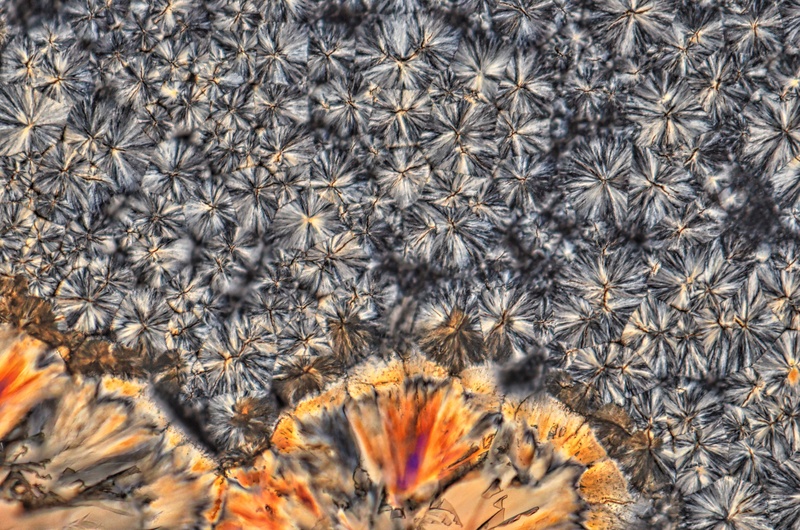 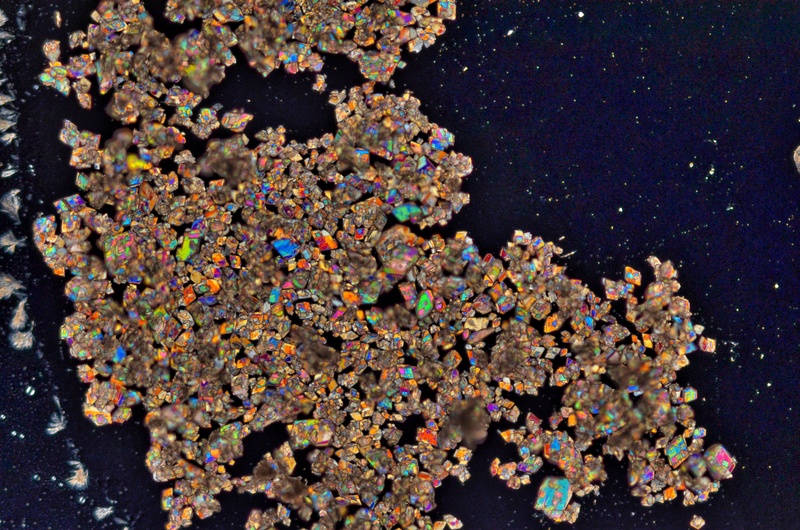 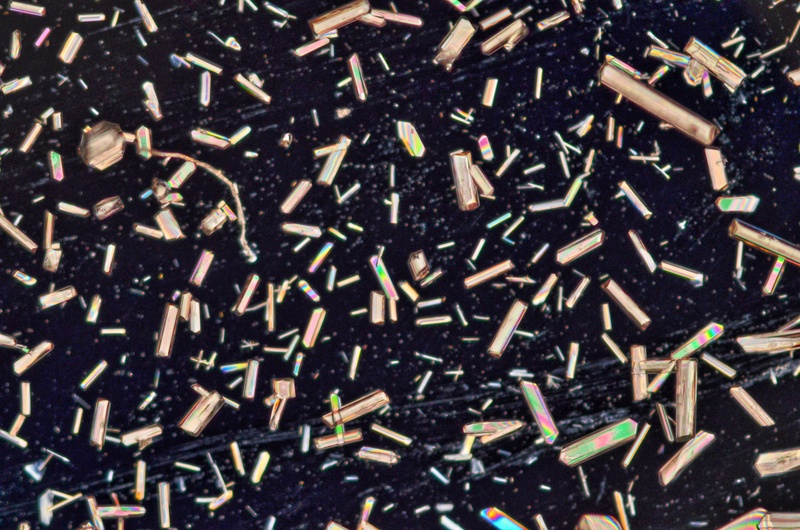 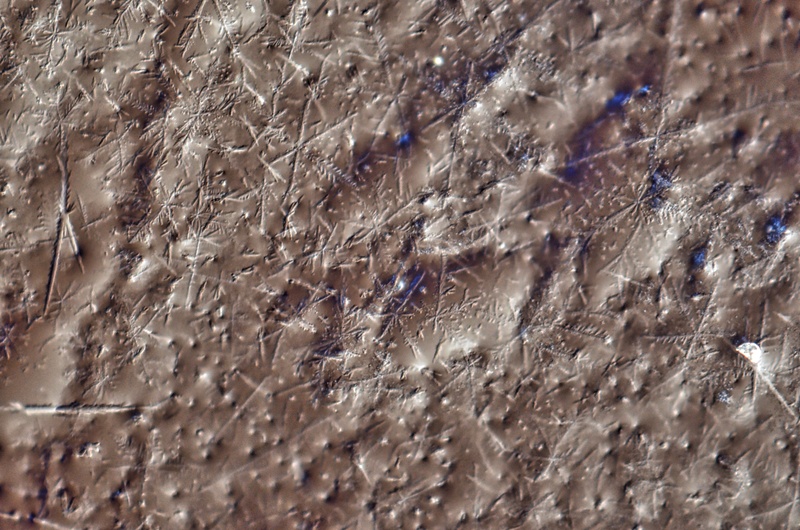 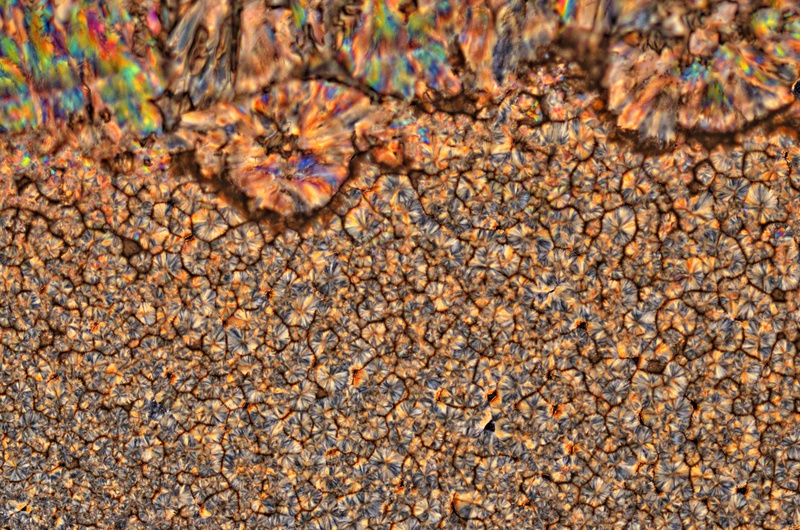 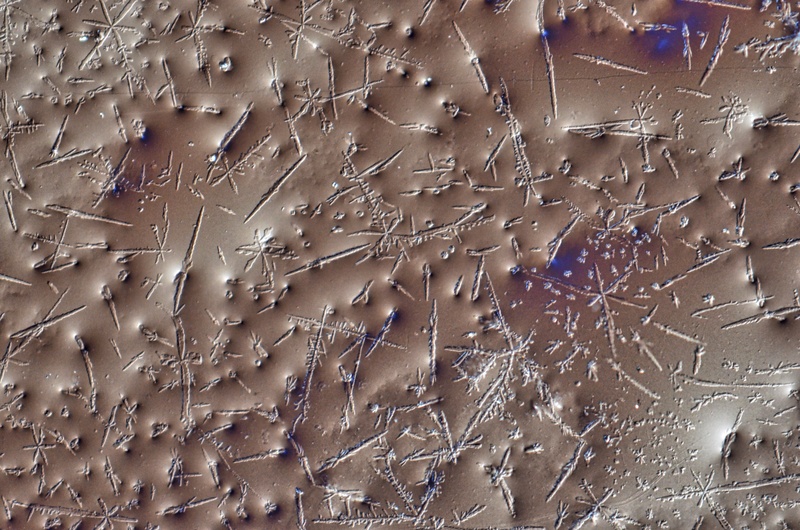 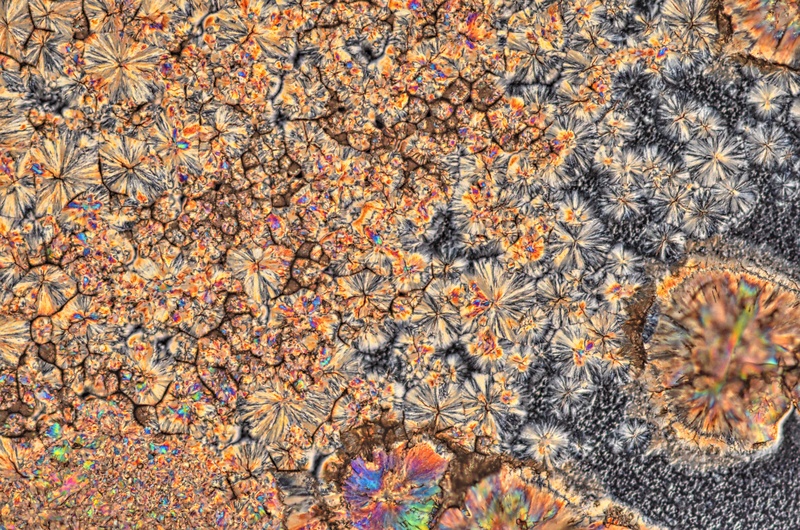 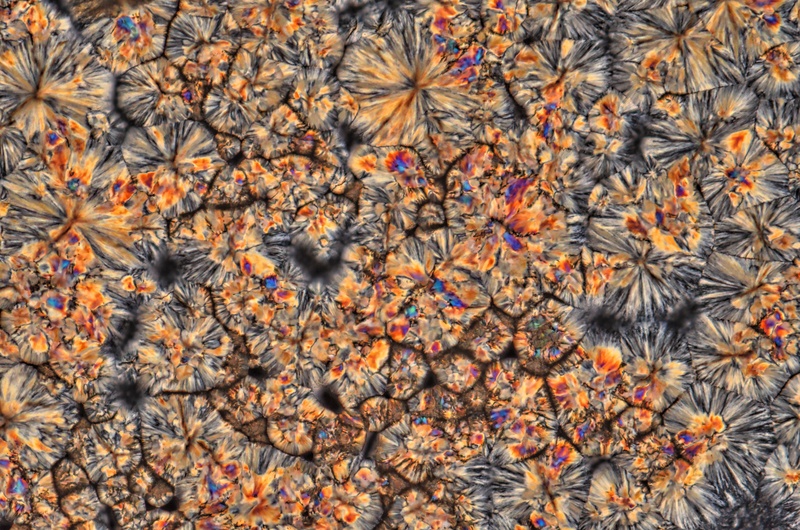 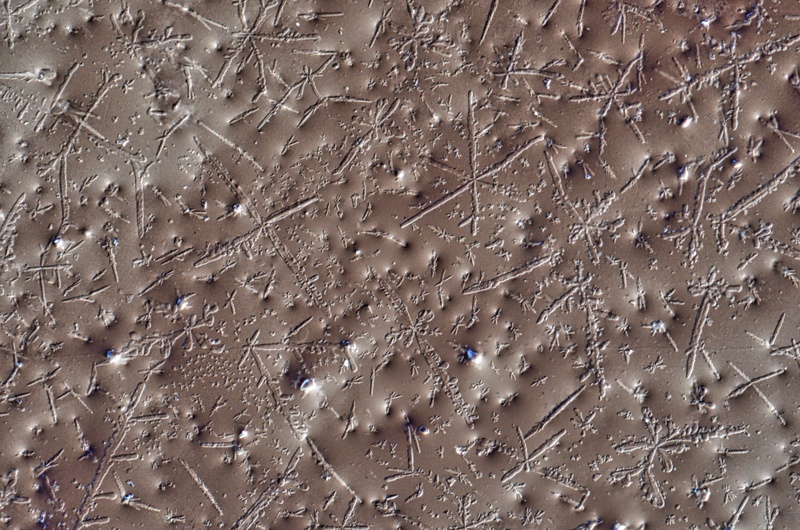 Here five amino acids have been carefully crystallised and then viewed with a Differential Contrast Microscope at 100x magnification. 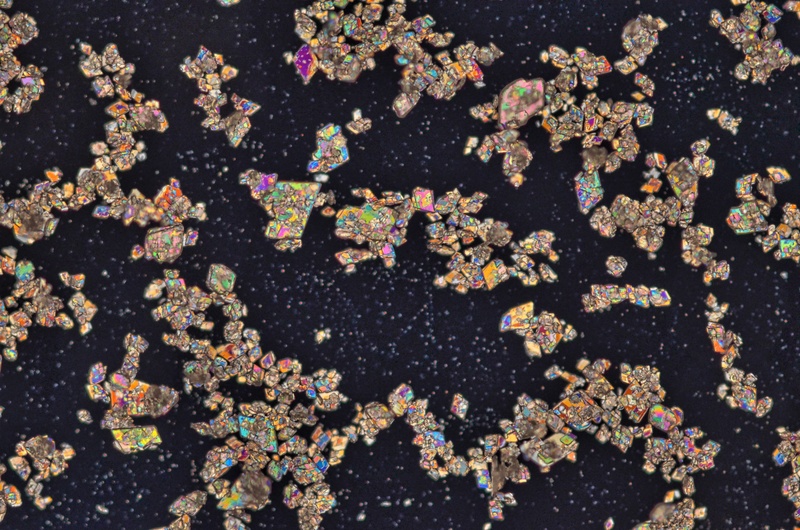 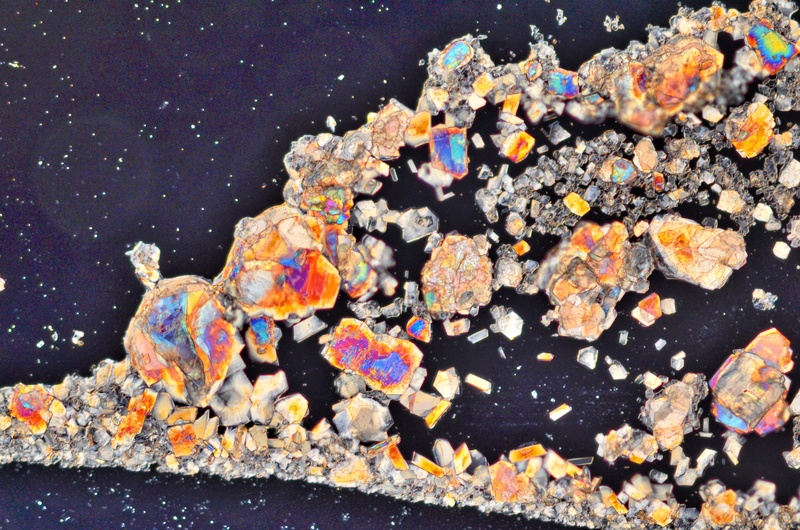 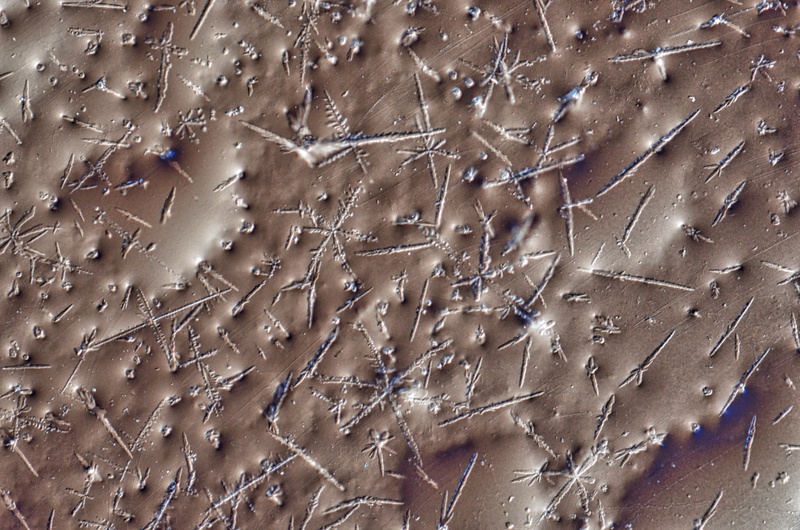 Each one seems to crystallise into its own unique signature reflecting the different properties and characteristics of each compound. 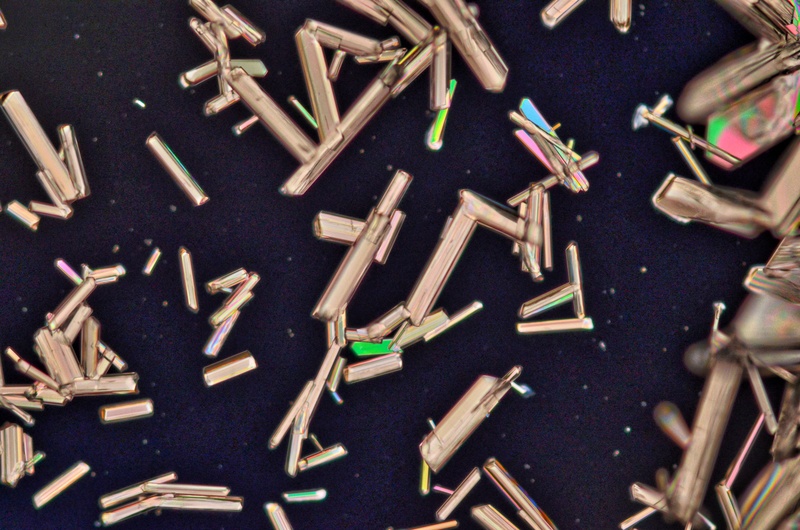 There a 20 common amino acids so 15 more to go!